Welcome to the I Choose Joy Publishing Store! 150-page printable pack for notebooking for your U.S. State Study. Three pages for each state: blank, regular lines, and primary lines. An 18-page printable pack full of colorful princesses learning to count: recognize numbers, fill in blanks, skip counting, 100 chart, etc. Find 10 beautiful and classy music practice assignment sheets that you can use to get your kids motivated to practice their instruments. The choices include monthly, weekly, and even a 100-day practice chart with a set of stickers to print for it. 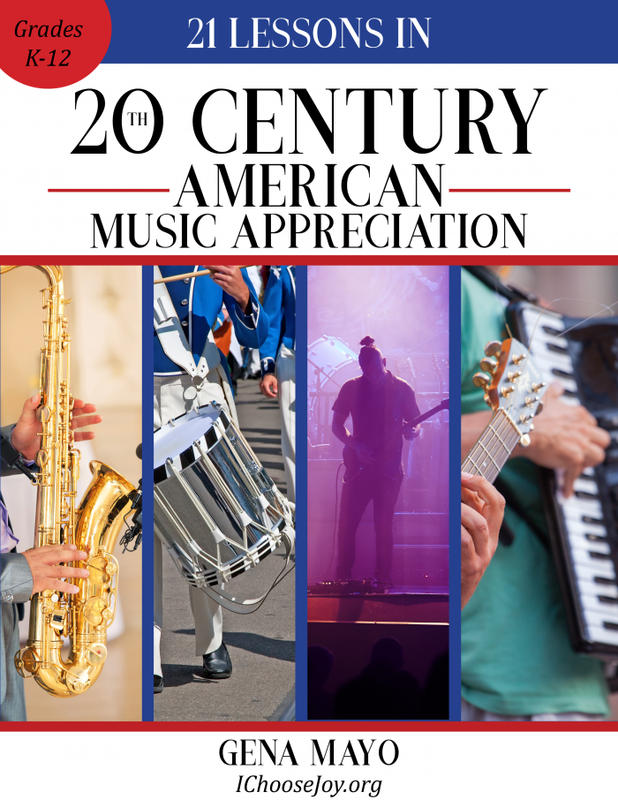 This ebook curriculum consists of 18 lessons about the music, genres, styles, and composers of Western Music from the years 450-1799. You'll learn about Gregorian Chant, the beginnings of musical notation, organum, Medieval church modes, Hildegard von Bingen, Guido d'Arezzo, Josquin des Prez, madrigals, motets, the beginnings of opera, music of the Reformation, Buxtehude, Vivaldi, Bach, Handel, Haydn, Mozart, Beethoven, and many more! "Music Appreciation from the Middle Ages Thru Classical Era" includes written lessons, links to videos to watch to learn more about concepts and to listen to the music, and assignments to complete using printables which are provided. Use the course to get a half-credit in high school Fine Arts. The course can be used for all ages (K-12), but is specifically written for the junior high/high school level. "Music Appreciation of the Romantic Era ebook curriculum" consists of 36 lessons about the music, genres, styles, and composers of Western Music from about 1800-1900. You'll learn about Schubert, Liszt, Mendelssohn, Chopin, Rossini, Wagner, Brahms, Tchaikovsky, Dvorak, Stephen Foster, Gilbert & Sullivan, Edward MacDowell, Amy Beach and many more! Includes written lessons, videos to watch to learn more about concepts and to listen to the music, and assignments to complete using printables which are provided. Use to get a full or half-credit in high school Fine Arts. Can be used for all ages (K-12), but is specifically written for the junior high/high school level. 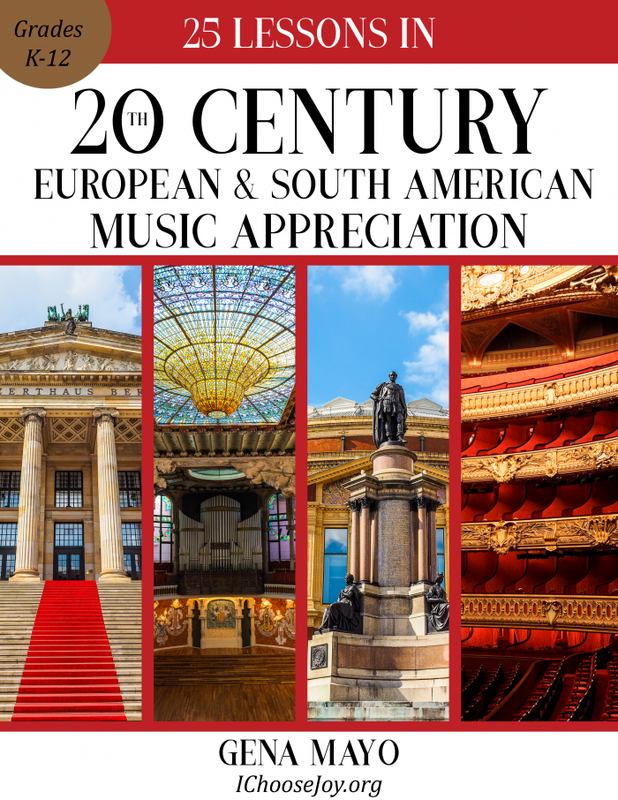 You will find 25 separate lessons on different composers, styles, and pieces of the 20th Century by European and South American composers. Included are 2 notebooking pages for older students to record what they learn as well as links to all the music to be listened to. The curriculum is appropriate for grades K-12 and can be used for high school credit in music appreciation. You will find 21 separate lessons on different composers, styles, and pieces of the 20th Century by American composers. Included are 2 notebooking pages for older students to record what they learn as well as links to all the music to be listened to. The curriculum is appropriate for grades K-12 and can be used for high school credit in music appreciation. 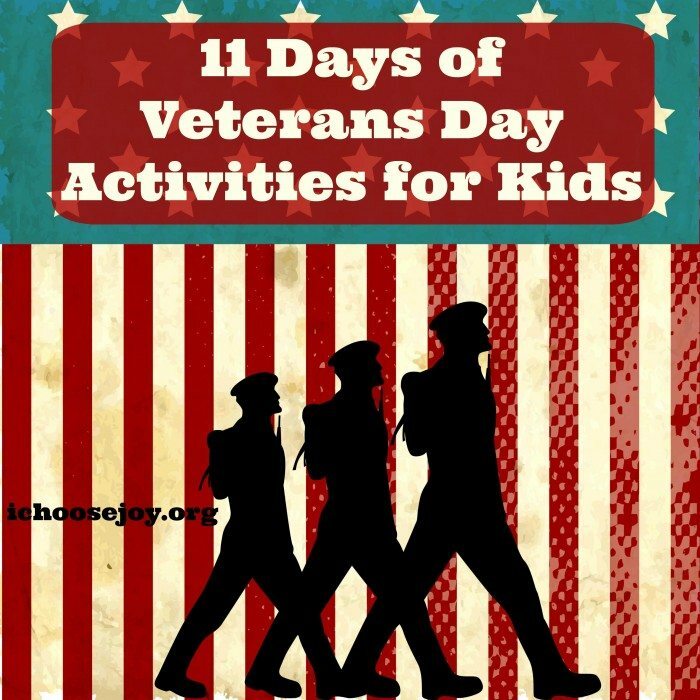 Find 11 days of different types of activities for kids as you teach them about Veterans Day. Meant to be started 11 school days before Veterans Day, you'll find links, resources, and ideas for the categories of: Read, Art, Music, Drama, Service, Write, Poetry, Bible, Science, Games, and Field Trip. 4-page printable pack of the Frog Life Cycle. Two pages in color, two in black and white for coloring. Includes the terms. **If you are looking for Online Music Appreciation Courses, head over to my course site: Music in Our Homeschool Online Courses.